David Mark had the most liked content! David Mark replied to Squeaky's topic in General Discussion - Any topic is welcome here!!! I believe that the closer we get to the 2020 election we will see civil unrest in this country on a scale not seen since the 1960's. The Red/Blue separation comes down to one simple question: Do you support the United States Constitution, Bill of Rights and Rule of Law or don't you? We live in interesting times. Keep your powder dry boys. David Mark replied to Mullet Man's topic in General Discussion - Any topic is welcome here!!! Mazel Tov Mullet Man! Best wishes for you and your family! David Mark replied to Azrial's topic in General Discussion - Any topic is welcome here!!! Member since '08 Damn - Shooter, Gary, Scout Joe and many more old friends. Glad to hear that all are well and have weathered the storms of the past ten years. Still waiting to hear from NMO, RobRez and Dad1234Dad. You guys still out there? I too miss the days of conversion talk and all the new products. Oh well, like the man says "You can't fence time." David Mark replied to evlblkwpnz's topic in General Discussion - Any topic is welcome here!!! "Choose a job you love, and you will never have to work a day in your life." Congrats on taking the plunge into full time something you love. Best wishes for your continued success! David Mark replied to Boba Debt's topic in General Discussion - Any topic is welcome here!!! Super Bowl 39...This is how it USED to be.. WTF happened? David Mark replied to patriot's topic in General Discussion - Any topic is welcome here!!! David Mark replied to Street Judge's topic in General Discussion - Any topic is welcome here!!! Well at least there's one less on this one. Brings to mind a favorite saying of mine: "It is a poor musician who blames his instrument." David Mark replied to jerry52's topic in General Discussion - Any topic is welcome here!!! Best wishes to you and your Bride Jerry. Enjoy what you've earned! 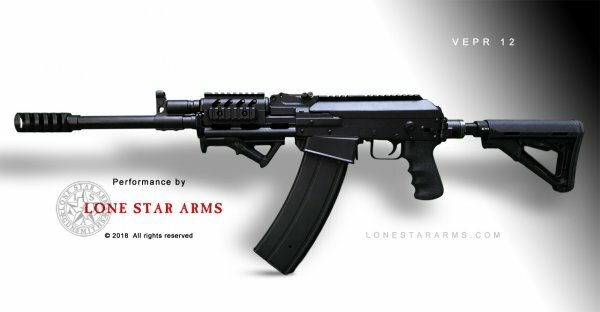 David Mark replied to Lone Star Arms's topic in General Discussion - Any topic is welcome here!!! The Obamas have already announced their first production. It will be a remake of The Jeffersons starring Elijah Cummings and Maxine Waters. David Mark replied to ChileRelleno's topic in General Discussion - Any topic is welcome here!!! You couldn't pay me to click on that link Gaddis. First Lorena Bobbit now Mossberg. Wow, who's next. David Mark replied to Wolverine's topic in General Discussion - Any topic is welcome here!!! I've been seriously thinking about the 43. My edc is my Glock 27 but since migrating to FL I've been eyeballing the 43 as a substitute. I think the lighter and slimmer 43 would be a better fit for the warmer climate. I am also considering the 36 in .45 just never had an opportunity to compare them side by side. Any input/opinions from Glock guys is welcome. Good luck with the new pistol Squeaky.